5 Places To Get Paid To Write About Writing! I’d LOVE to start out this list by saying that Horror Tree is your #1 spot to get paid to write about writing. Unfortunately, anyone who follows our Patreon knows that we’re not quite there yet. Still, we’re getting closer all the time! While we will happily take your guest posts on writing *cough*cough* there is likely more of a chance that putting pen to paper on the writing process is something that you’d like to get paid for. So, without further ado, here are the five markets we have for you to check out today. Each year, all year long, we purchase articles for WritersWeekly.com. WritersWeekly is distributed to freelancers across the globe every Wednesday. 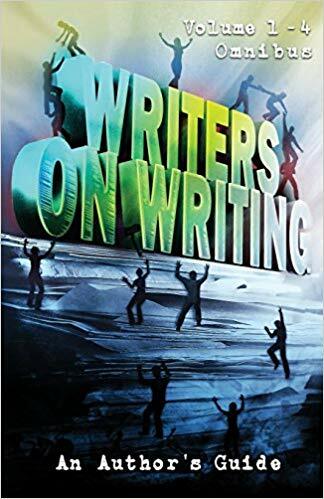 WritersWeekly.com focuses on “selling” the written word. We do not seek articles on how to write. Rather, we seek articles on how to make more money doing what you love….writing! We are also interested in other forms of home-based businesses and self-employment that may result from writing, such as self-publishing, corporate writing, ghostwriting, etc. All ideas that help writers support themselves performing the work they love are warmly welcomed. Payment: $60 on acceptance via PayPal (preferred) or check for first rights only ($40 for reprints). For full details please head over to Writer’s Weekly Submission Guidelines today! Want to connect with a literary agent? Offer to interview them here. Or interview a freelancer, author or editor. Any figure in publishing is a good interviewee to feature on Write Naked. Notice a particular genre of fiction is hot right now? Are two big publishing houses merging–how will this affect authors? Suggest a post on topics along these lines. Feature a day in your life that illustrates how varied a writer’s life can be. View a sample here. Do you have insight on copyright you want to share? Did you traditionally publish and then self-publish, or did your article turn into a book? Were you called in for jury duty? Tell me. Did you self-publish and sell 5,000 copies or more of your book? Find a way to save time and bill more as a freelancer? Pitch a tip or three. Payment is $75 per post. Write Naked has reading schedules which you should absolutely check before sending in an article. The full guidelines are found on Write Naked’s Submission Page! The SFWA Blog is also looking for non-fiction about writing for authors out there to enjoy. The SFWA Blog is open to nonfiction submissions that might be of interest to new and/or established writers of science fiction and fantasy. They are only looking for original work but you do not have to be a member of the SWFA to submit. Payment is currently set at 6 cents per word but as the organization just raised the professional rate to 8 cents per word you could imagine this will go up soon. You can read the full guidelines on The SFWA Blog Guidelines Page! Right now Re:Fiction is looking for informed articles about the craft, lifestyle, and business of fiction writing. Are you an author, editor, or publisher with relevant experience to share? Drop us a line, and let’s talk! They prefer a tight, focused topic and dig deep into it and not a casual article. The rates at Re:Fiction vary a bit and will be $0.06 to $0.10 per word. The reasoning behind this range isn’t spelled out on the site. The Guidelines can be found on Re:Fiction’s Submission Page. 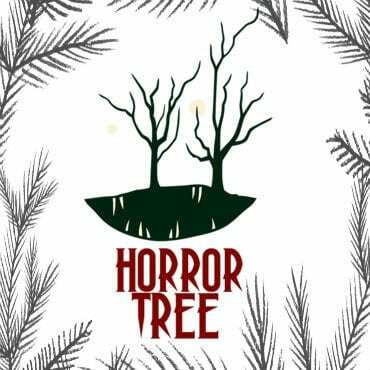 As we’re heading into Women in Horror Month I’m thrilled that we can feature a non-fiction website that caters to the women who follow Horror Tree. For this call – WOW! welcomes queries from its audience of women writers. Please make sure you’ve read through our articles to get an idea of what we publish before submitting a query. We are now open to general queries, as long as it relates to the craft of writing and publishing. We are particularly looking for how-tos on a variety of writing and publishing topics, and interviews/round-ups with acquiring editors/literary agents/publishers. All articles must have takeaway value for fellow writers. Payment is arranged with the editors of accepted work but usually is in the $50 to $75 range. You can read the full guidelines over at WOW!